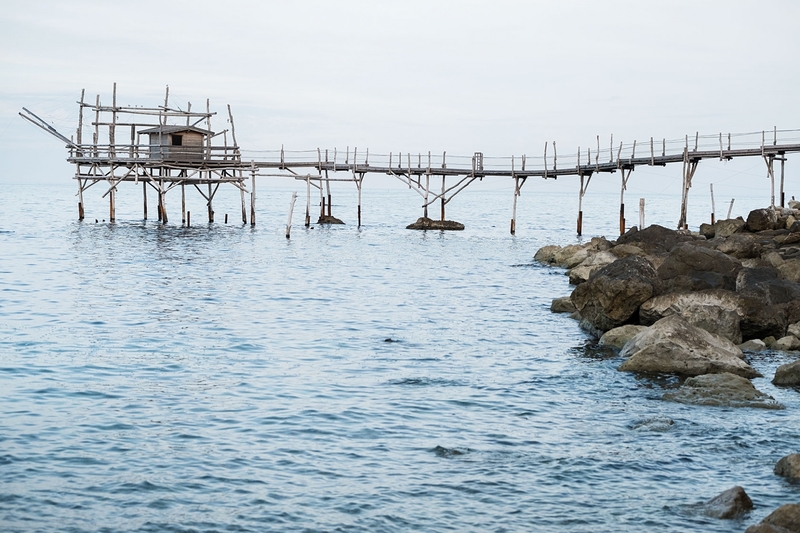 The Punta Turchino trabocco is one of the most characteristic of the San Vito coast, situated in the Portelle district, on the narrow promontory of Capo Turchino. 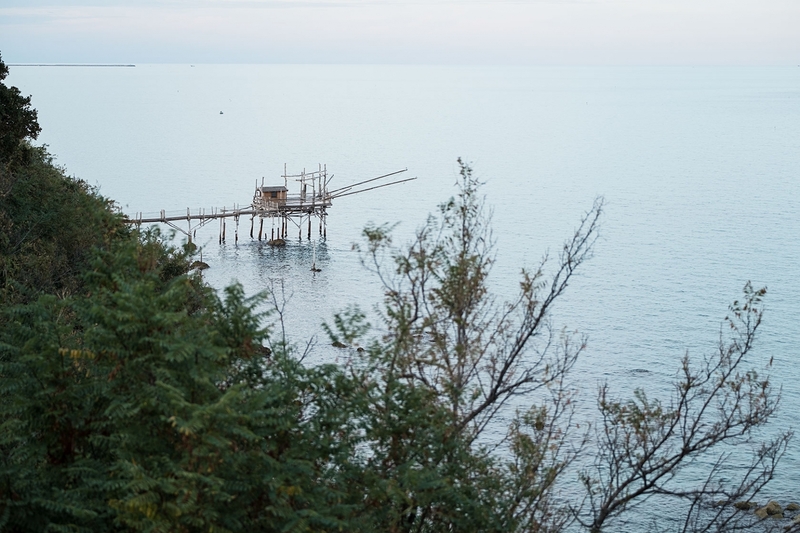 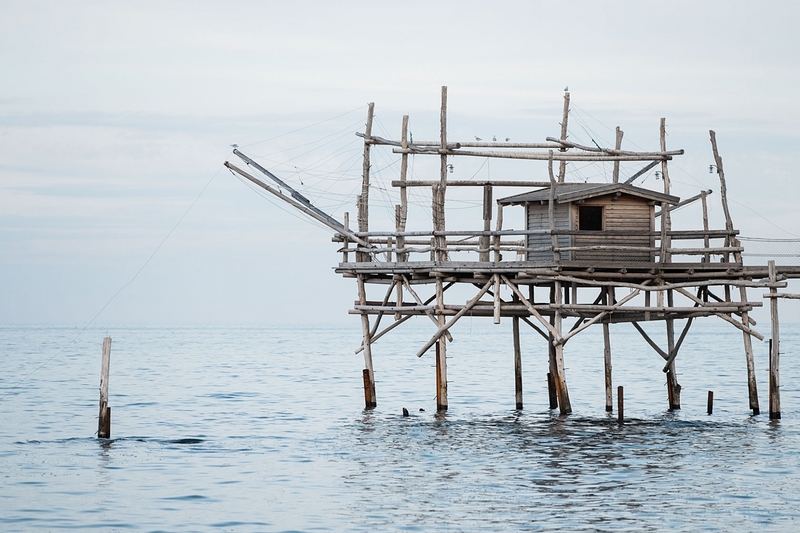 This is the famous trabocco mentioned by D’Annunzio in The Triumph of Death, and he describes it thus; “...a trabocco stood at the extreme tip of the right promontory, above a group of rocks, a strange fishing machine, made entirely of planks and beams, similar to a colossal spider …”. 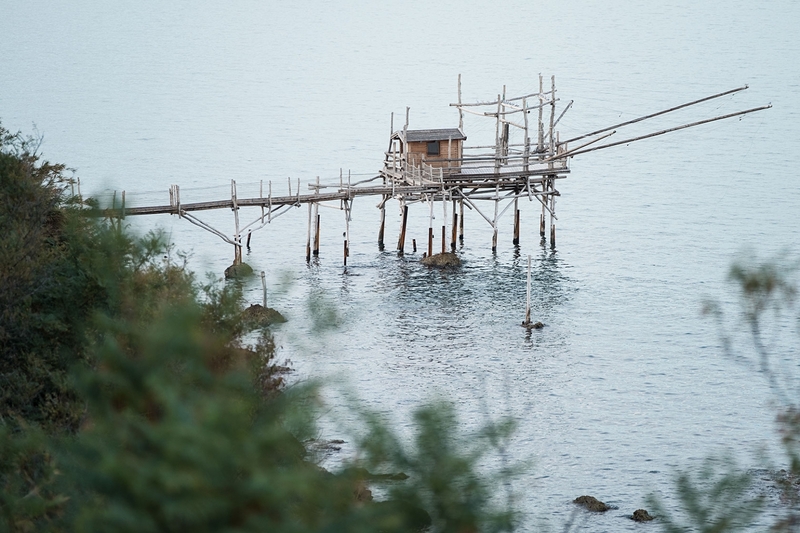 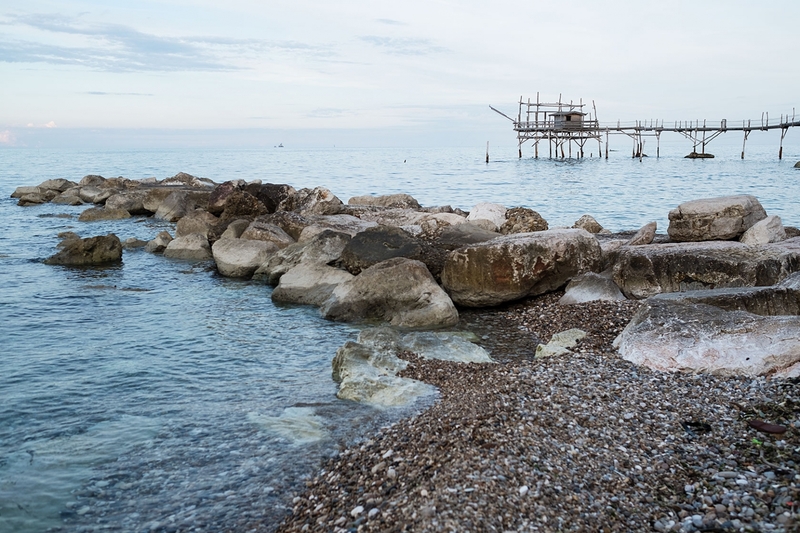 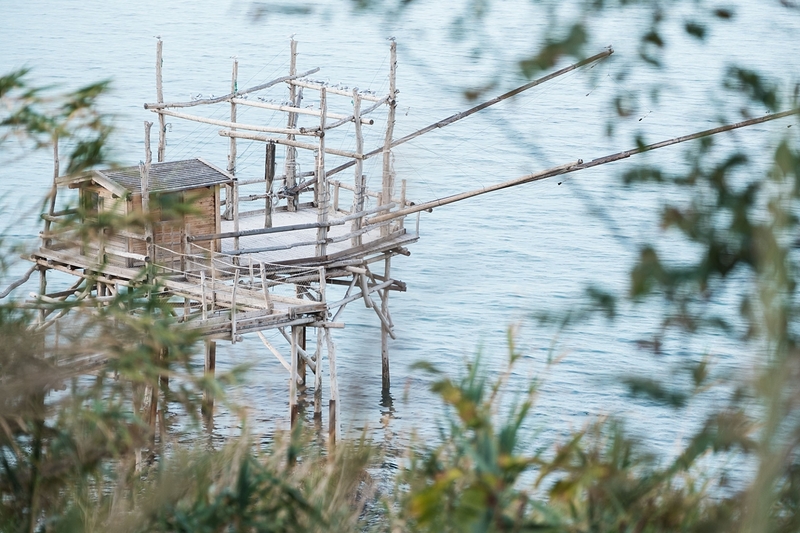 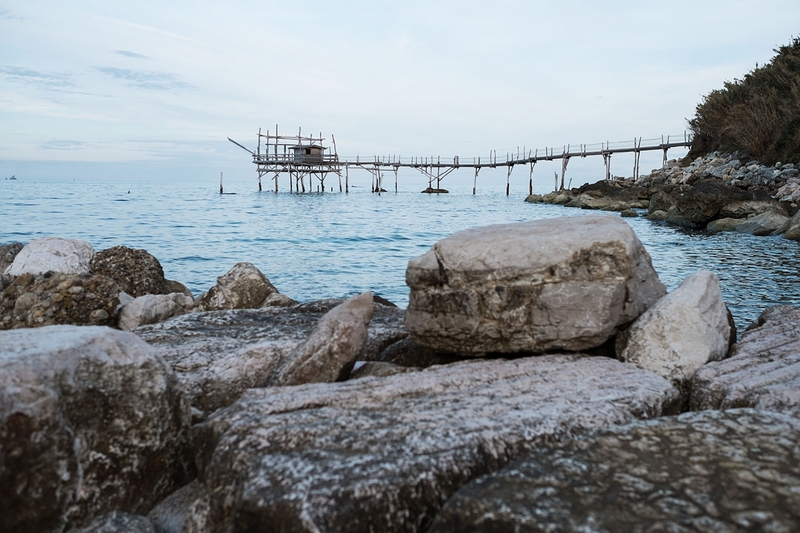 The restoration of the trabocco has revived the area, and promotes one of the most beautiful of those built along the Adriatic coast.